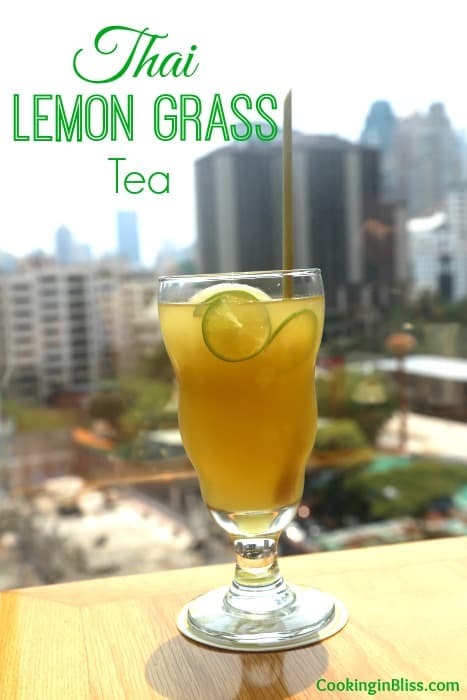 Lemon grass tea is one of the wonderful recipes that I had while I was in Thailand. It can be served both cold or hot. I truly prefer the cold version. It is easy to make and doesn’t require that many ingredients or that much time. Lemon grass is said to have a lot of healing properties. It is thought to help with high blood pressure, relieving the common cold, and helping with achy joints. I am not sure about all of that but what I do know is that it is both tasty and refreshing and I truly enjoyed drinking it while in Thailand. How long did you wait for the weather to finally warm up? We’re still having a few chilly days here but there’s no denying Spring has sprung! I don’t know about you but when I feel the sun on my skin and see and smell those familiar Spring feature I get a bit giddy inside. It’s my absolute favorite season ever and the perfect time for some of my favorite things: Pina Colada Cake and Strawberry Daiquiri’s. 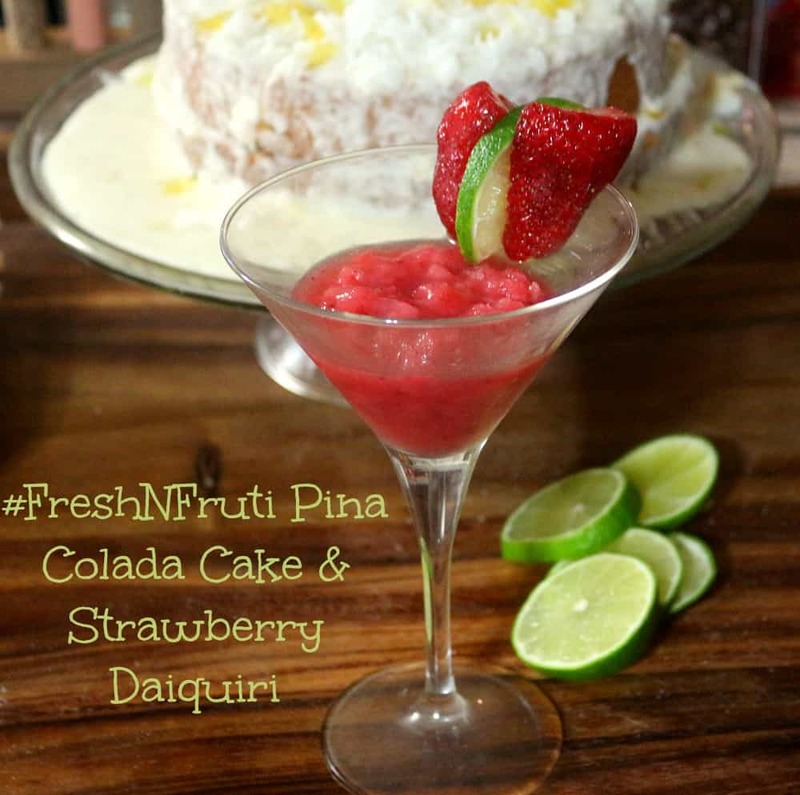 The Chunks O’ Fruti variety pack was an inspiration for this Strawberry Daiquiri and Pina Colada cake. The flavors, especially the pina colada, were exactly what I needed. Not only are these bars the perfect ingredient, they’re the perfect healthy snack for kids and grown ups. Let me just say they are absolutely delicious alone! The chunks of fruit are just what I want in a fruit snack. Here are my recipes, if you make them I’d love to know what you think! Did I mention fruit is the first thing listed on the ingredients. That means there is more fruit than any other ingredient in these bars, and that’s how it should be. Combine all of the ingredients in a metal bowl or cup and use an immersion blender to mix. 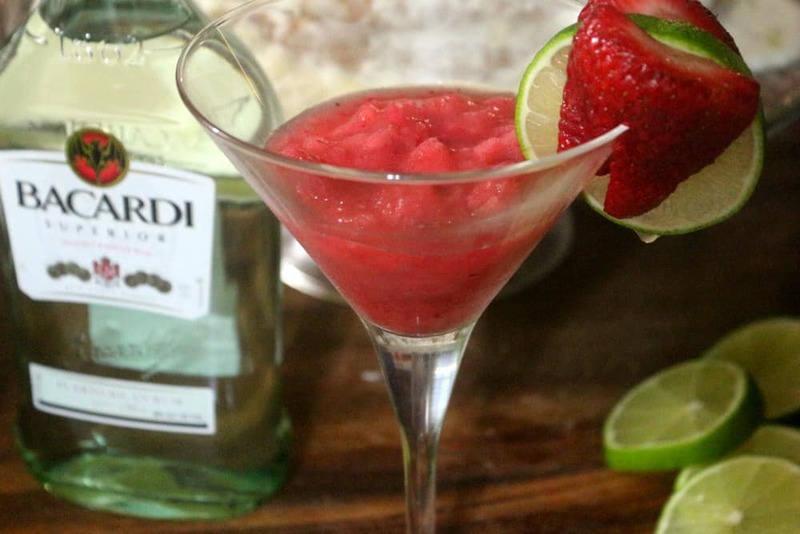 Pour into a serving glass, garnish with a lime slice and halved strawberry. Preheat the oven to 350 F and flour/oil 2 cake pans (9 inch or one 9″ one 8″.) Put the Fruti bars in a microwave safe bowl and heat for 30 seconds to melt. Set aside. Whisk together the sugar, flour, baking soda and salt until no lumps are visible. Put the mixture in the bowl of a stand mixer using the paddle attachment. (A hand mixer should work as well) Add the butter and turn the mixer on, starting on low. Slowly pour in the vegetable oil and milk then adjust the speed to medium. Add the eggs, melted Fruti bars and coconut extract. Adjust the mixer speed to medium high and mix for 2 minutes or until thoroughly blended. The mixture will be thick. Pour scrape the mixture into the cake pans and bake for 30 minutes, or until a toothpick inserted in the center comes out clean. For the frosting, mix together the ingredients on medium speed until creamy. You can add pineapple juice if you need a creamier consistency. Just add 1 teaspoon at a time. Use a dowel or straw to poke holes around the tops of the cake layers. Pour half of the coconut milk over the bottom layer and allow it to soak for 15 minutes; then drizzle the frosting on. Top with flaked coconut. 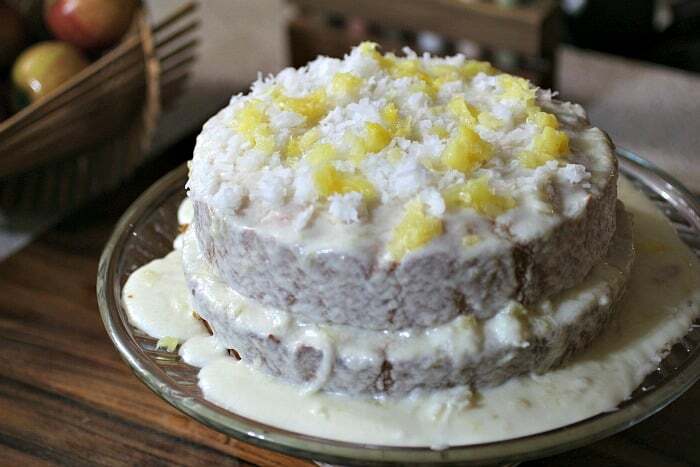 Place the top layer on and pour the remaining coconut milk over the top layer of the cake and frost. Top with flaked coconut. The addition of the coconut milk is a key step since the cake will be dry without it. If you close your eyes while eating a slice, it’s almost like being in the tropics, sipping on a real pina colada – paradise! 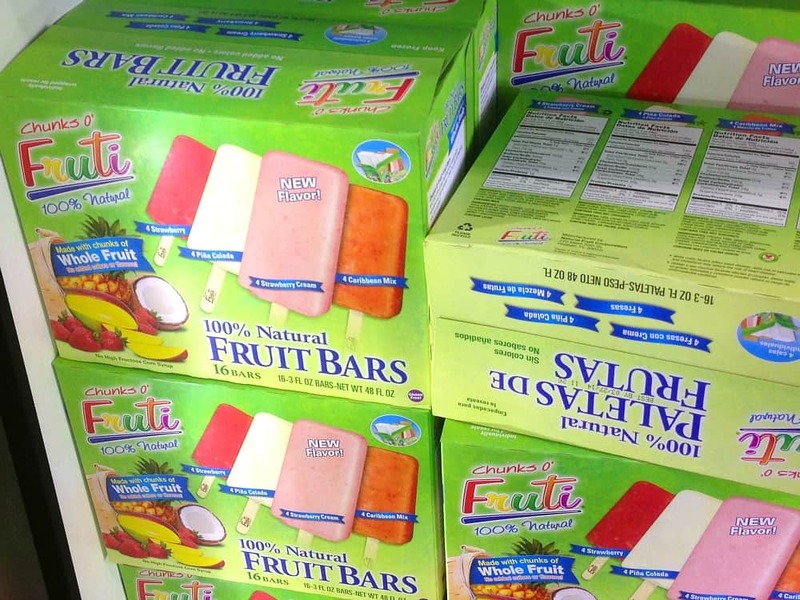 You’ll find Chunks O’ Fruti variety pack with Caribbean Mix in the freezer section at participating Sam’s Club. This is definitely a snack to have in your freezer for Spring and Summer. Whether you’re looking for the perfect recipe ingredient or just a way to please the kids without the artificial junk. I absolutely love the packaging of the Fruti Bars. The box is large, it does contain 16 bars afterall. But there are 4 inner boxes that let me arrange them however they will best fit in my freezer! Be sure to head to Sam’s Club on 5/13 for a fun (and yummy) Fruti and yogurt demo. 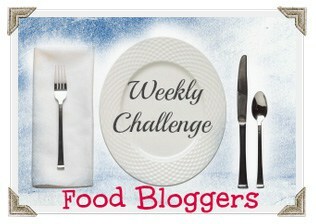 I’m thinking parfait – how about you? !